Welcome to the third and final part of this mini-series about the Google+ Snapseed editing tools. In part 1 we looked at how to set up a Google+ account, upload pictures and create albums. In part 2 we showed how to open images in the editing window and how to apply a Snapseed filter. In this third and final part we show some of this software’s true power and depth. 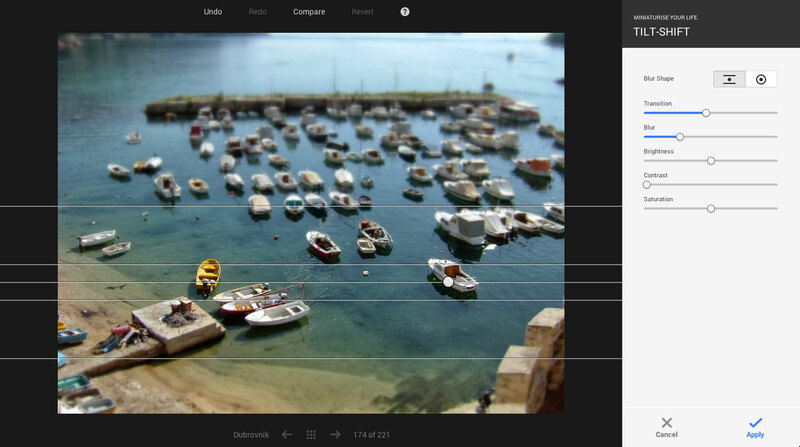 If you thought Snapseed was simply a collection of quick-fix filters, think again! Maybe you use Snapseed already on your mobile device? Maybe you’re one of the lucky few who bought the desktop version of Snapseed before it was discontinued? Maybe you’ve never seen it in action before? Either way, you should take a look at just what you can do… and it’s all within the Google Chrome web browser. These are just five of the filters, and the sample images here show just one example of what each filter can achieve. For each one we’re showing the start image, a screenshot of the filter in action and the finished picture. 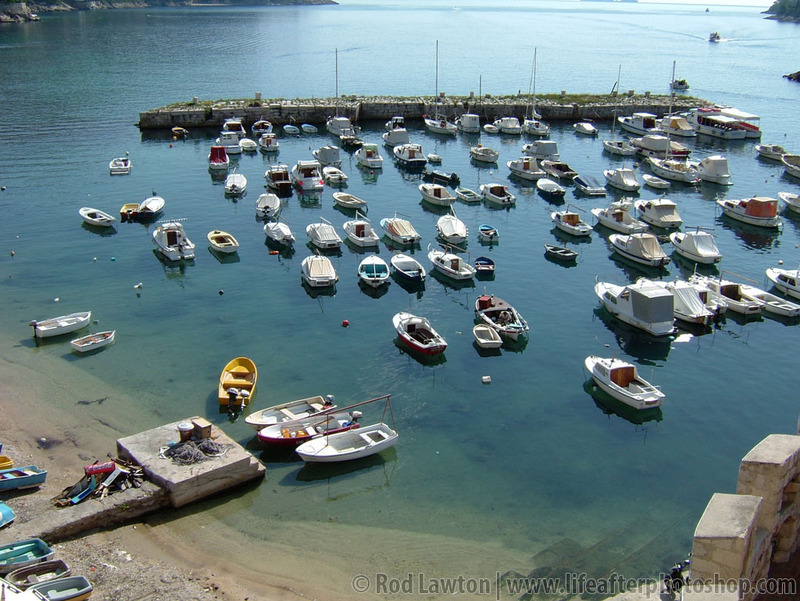 This picture is the ideal candidate for the tilt-shift treatment because it’s looking down on the subject from the ideal angle, and the subject itself – the harbour and its tiny boats – looks like it could be a model. The Tilt-Shift filter has two blur shapes – a horizontal ‘planar’ shape for simulating a shallow plane of focus, and an elliptical shape for a ‘bokeh’ effect with irregular shapes. The planar shape works best here because the picture has a flat surface angled away into the distance. You drag the centre of the tilt-shift gadget to change its position, drag the inner lines to change the width of the sharply focused areas and the outer lines to control the distance over which the blur is blended in. The finished picture works pretty well, and it was so quick and simple to do. This technique does rely on the subject being exactly right, and it’s better if you go out and take shots specifically.